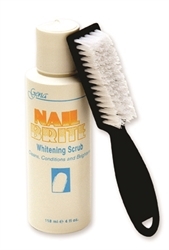 Whitening scrub cleanses, conditions and brightens nails. Perfect for French Manicures. Safe for artificial & natural nails.